Loved this post. I loves reading and learning more about this special holiday...it is not just a long weekend is it? 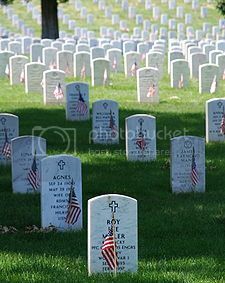 Melody-Mae - No, it has a very special meaning and I love that we honor our military this way. Diana - Same here. Everyone we knew visited family at cemetaries, whether they were veterans or not. Thank you to all of the Veterans! Thank you for sharing! Thanks for adding your thanks to our thanks!